As students make their words, they are rewarded with a stamp on their record sheet. They work independently, then simply carry their cookie sheet, with the word and record sheet on top, to the person with the stamp. The person might be me, a classroom volunteer, or sometimes even a responsible peer. 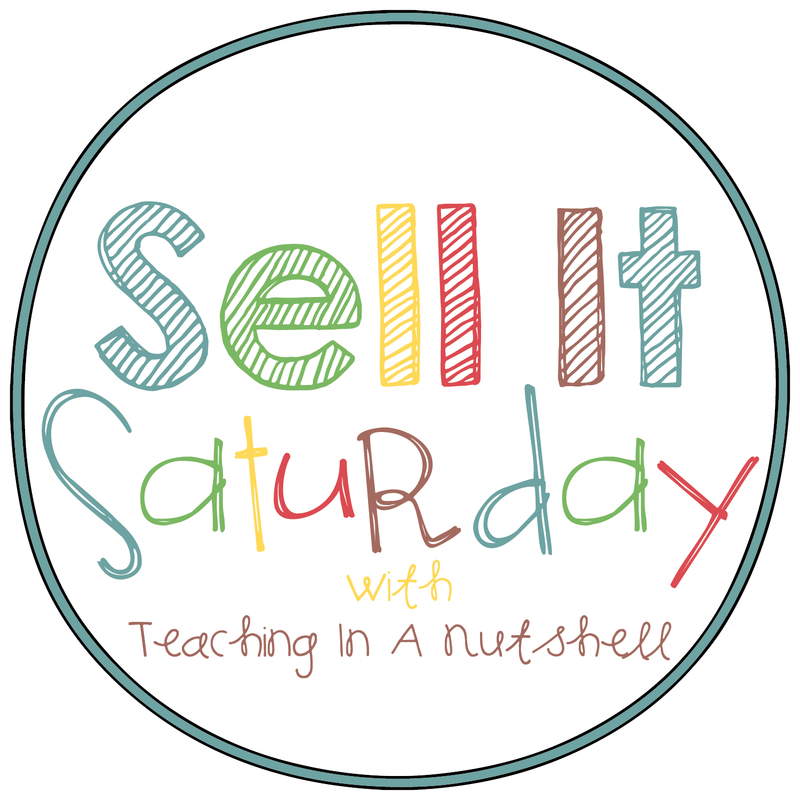 The student quickly reads the word, points to the picture and receives a stamp. My average students earn between 3 and 6 stamps in a 15 minute center. Then the record sheet is saved for the next time that we do the activity. I purchased my magnetic letter set at Lakeshore (currently on sale) and the cookie sheets on the Dollar Tree website. 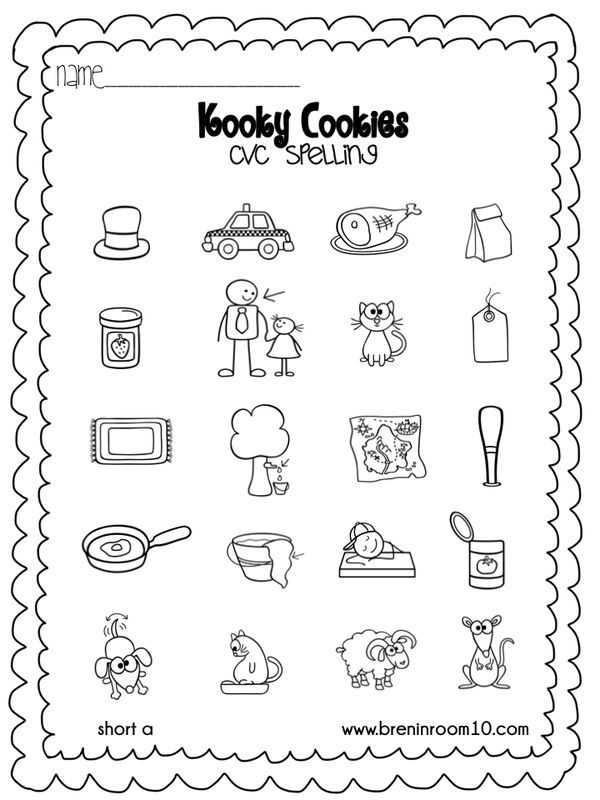 CVC Record Sheets for Building Words on Cookie Sheets and Other Fun Ways. I have used this in my classroom and my kinders and I absolutely love it. If you like the freebie that I posted about above, then you will love the complete set. The activity is the same, but there are three more levels in this product. 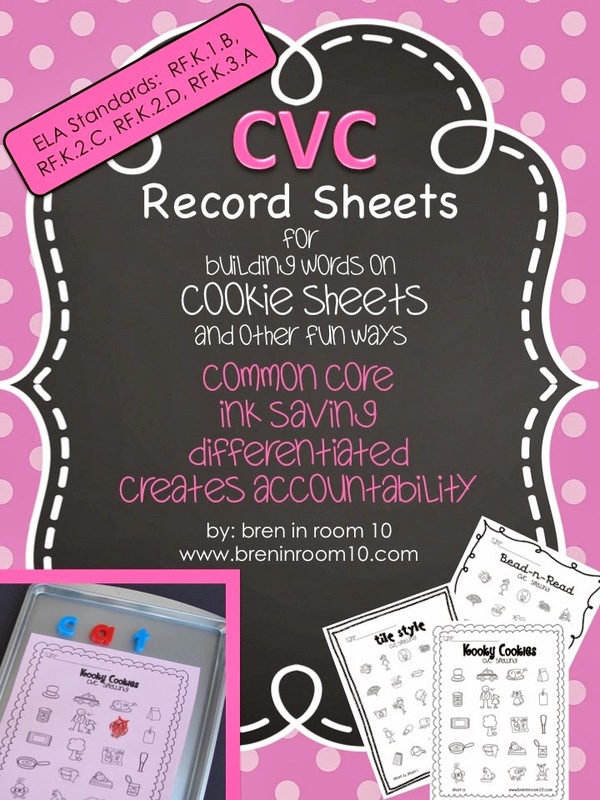 I also included record sheets for letter beads and letter tiles and a generic set for making CVC words using whatever other materials you like to use or that can dream up. I use these throughout the second half of the kindergarten year. Some students even ask to do them during their free choice time! It's available for $5 now, right HERE! This is the letter bead version included in my product for sale. I found my lower case beads at Lakeshore. This is the letter tile version included in my product for sale. I found my letter tiles and the handy case at Really Good Stuff. Baby food containers are the perfect size for CVC tile words. Who knew? These are super cute! It makes me wish a little bit that I taught Kindergarten, but I just love working with second grade too much. Thanks for linking up! I REALLY love the way you manage this process- I love small group work, but I do worry about my "independent" guys out there, too! I can definitely see this working with different phonics patterns in older grades! Thanks Melissa. That is actually my plan for the summer!